This is the first summer I have attempted a vegetable garden. I have envied many, many gardens over the years and thought I didn’t have the space for one. 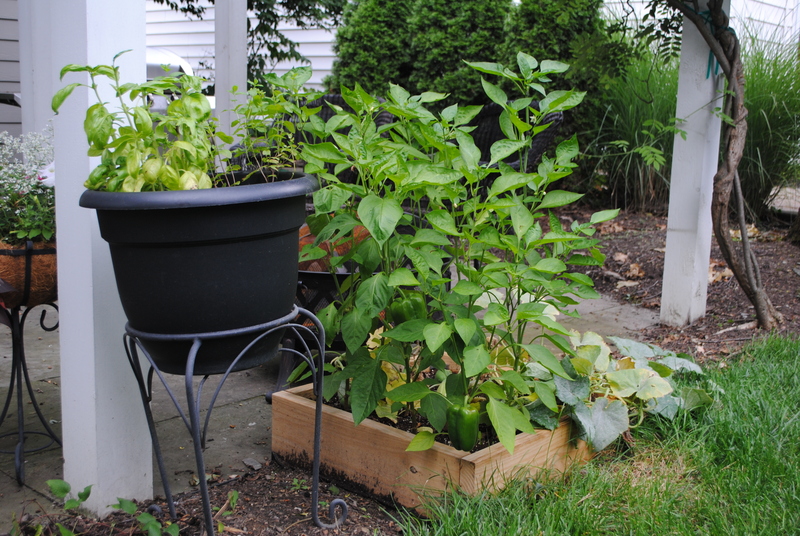 Then I heard about square foot gardening and realized I could have a garden in as little as 4 square feet. I may not be able to feed my family on it, but we could learn a little and eat a little. You may remember this picture taken right after I planted the cucumbers and green peppers in May. 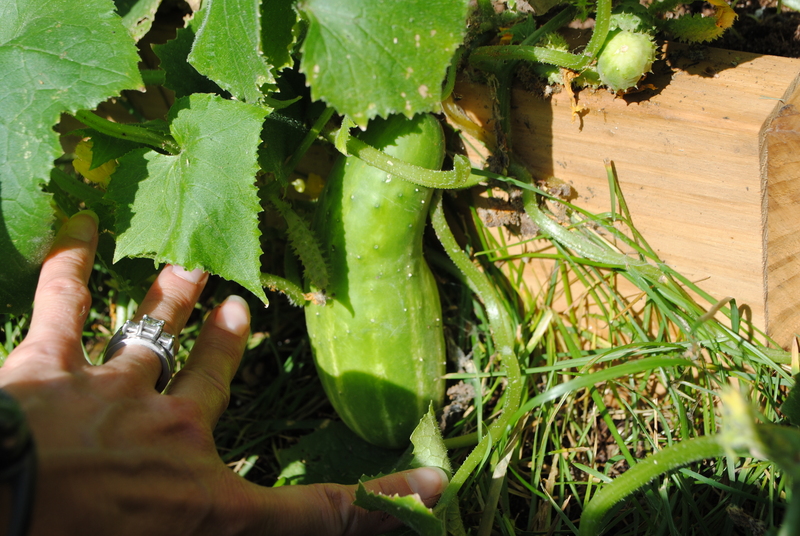 We are harvesting cucumbers everyday now and I think we will get about 15-20 out of it by the end of the season. They are crisp, juicy and sweet! 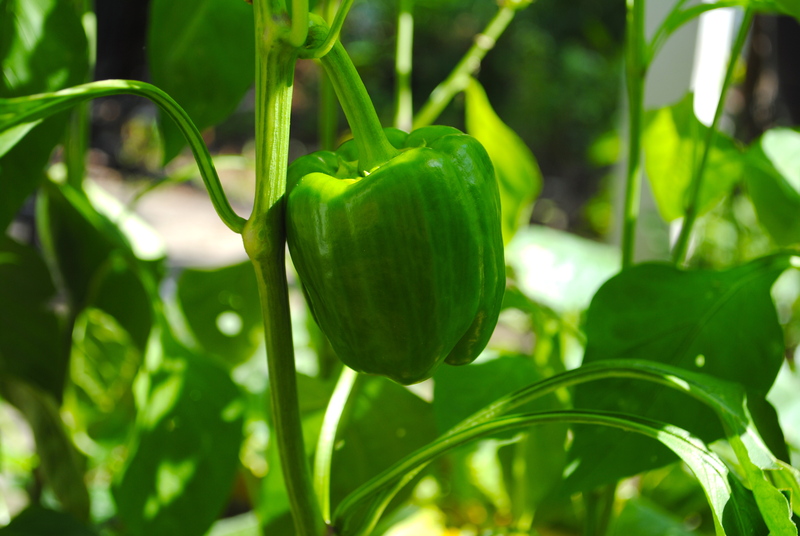 The green peppers are on their way. We have 3 that should be ready soon and it’s hard to tell how many more we will end up with since their season is just starting. 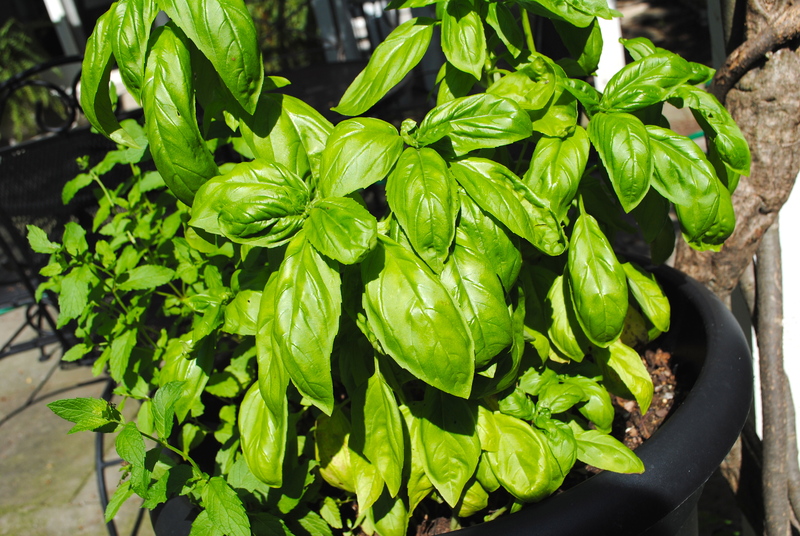 For years I have been growing basil in a little pot. This year it isn’t doing as well as it has in the past. I just moved it to a sunnier spot to see if that will help. But there is plenty for my tomato basil mozzarella sandwiches. And the other day I made basic boxed tortellini, drizzled it with olive oil and threw chopped tomatoes and fresh basil strips on top. Oh, yummy! 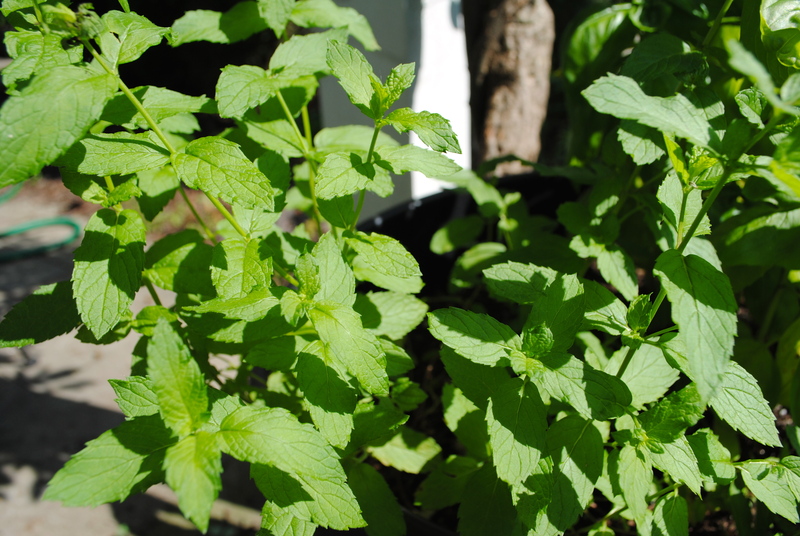 Finally, the mint is doing nicely. Again, not as well as in past years, so I moved it as well, but plenty for us. I love mint on green beans (oddly enough it is a very tasty combo). I throw some salt and lime juice with minced mint onto blanched green beans for a quick snack or dinner side. But the one thing that is new this year is mint tea. I actually had to look up a recipe for this because I just wasn’t sure. But yes, it is just this easy: pick 7-10 leaves, put them with 2 cups of water in the microwave for 5-7 minutes. Then stir for 3 minutes and strain the leaves out. I add a touch of raw sugar and love it. Honestly, it isn’t any better than the tea bags you buy in the store, but the fact that I grew it and just plucked it from my garden puts it over the edge. I hope you are enjoying your garden this summer! Share some of your favorite quick recipes with us!